It’s not difficult to find the opposite of customer-centricity. I found it while traveling in eastern Europe late last year, where many businesses still—after 50 years of official communism followed by 25 years of capitalism—haven’t discovered the value and competitive advantage of good customer relations. But you don’t have to travel to former totalitarian states to experience horrendous customer service. If you’re attempting to solve a problem with your phone, insurance policy, satellite service or even the IRS (to name a few), it’s often difficult to find a number to call, and if you find one, you're likely to experience a long wait to talk to a human being. Why aren’t more company’s recognizing the opportunity to establish unique value by making it easy for customers to get a rapid response and friendly treatment? The market share that would increase because of this extraordinary relationship-building at a primary point of contact would certainly more than pay for the staff necessary to provide this service. Do you find yourself asking this kind of question as you experience customer service snubs? How about your company? Have you identified the areas where your competitors are falling short, or where they are succeeding in their effort to capture and service new customers? Sign up to receive your competitors’ email or newsletter – Many companies make it easy for just about anyone to sign up and receive email newsletters. Most link to a signup form on either their website or Facebook page. A good way to receive a competitor’s non-newsletter emails (such as their signup or purchase confirmations, lifecycle series or other transactional emails) is to sign up for a free trial, or make a small purchase to be classified as a new customer. Explore your competitors’ website – Visit competitors’ websites to see what they’re doing right and what they may be doing wrong. For example, if you’re unable to find certain vital pieces of information such as contact info, a simple way to sign up or make a purchase, it may give you some insight into what you can capitalize on for your own website. Give them a call – Calling your competitors’ customer service or sales line can provide insights on the way your competitors do business, especially if you and your competitors sell over the phone. You can find out how firm their pricing structure is and whether they throw in incentives to close a sale. The best part of this competitive analysis strategy is that you can basically ask them anything you’d like to know while you’re on the phone with them. Look at competitors’ digital marketing efforts. Google Alerts: keep alerts for yourselves but also for all of our competitors to know what they are up to," says Mohnot. Here are more tools to do this. Like and follow on social networks – ‘Your competitors may have a separate Twitter account for customer support, monitor all tweets to and from that account closely. You’ll see what competitor products people are having problems with. Use feedback from competitors’ customers to find weaknesses in their products. This will help you discover missteps to avoid in your own products and which features tend to confuse people. Like’ your competitors on Facebook, connect with them on LinkedIn and follow them on Twitter. Many companies release special promotions on their social networks, so if you don’t see their pages or profiles, you won’t be aware of their social media strategies. Attend a conference. Attending industry trade shows and conferences—as well as joining industry associations—can be a great way to learn about who your competitors are and what they're offering, says Amy Lewandowski, who heads up marketing at online retailer, PepWear. "We attend these conventions anyway so we make sure to visit competitors' booths while we are there and observe their interactions with customers, pick up literature, and check out the quality of their products," she says. "I am always shocked that most of them never visit our booth." Conduct a survey. If you're interested in getting a comprehensive report of all the players in your industry, you might consider conducting a survey. "A year or so ago, I hired someone to e-mail several of our competitors and ask them the same questions about their services," says Jeff Huckaby, CEO of RackAid, an IT management business in Jacksonville, Florida. "We looked at price, response time, how the sales request was handled, etc. By doing this, we learned how to clearly differentiate our sales process from that of our competition." While Huckaby says he learned a lot from the process and plans on doing it again, he does have one caveat: "I am a big fan of outsourcing this. 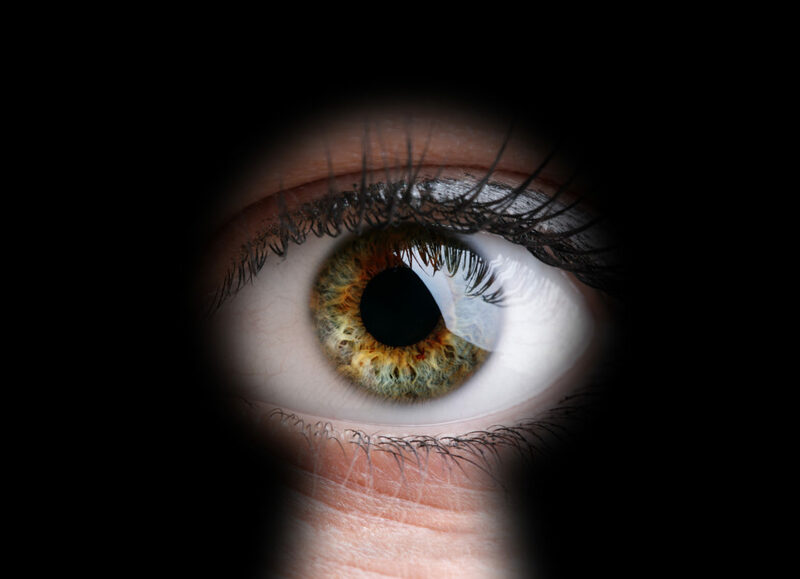 You don't want to run into someone you were spying on at an industry conference." These are just a few of the tactics for finding out more about your competitors and their effort to capture and retain customers, and there is much more to say about each of these.